Activated charcoal is a fine black powder that’s claimed to treat a variety of conditions. 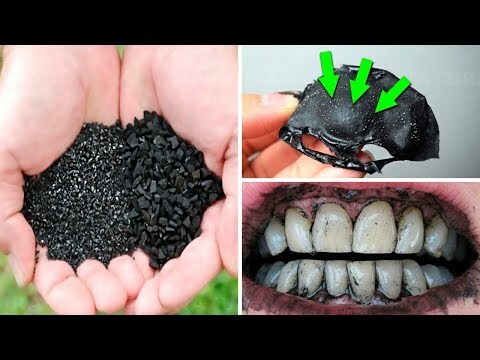 In this video, you are going to learn more about activated charcoal benefits, uses, effectiveness and possible side effects. Drinking more water is perhaps one of the best things someone with diarrhea can do. After all, we can easily become dehydrated due to it. Diarrhea is a tactic our body uses to defend itself and eliminate viruses, bacteria or parasites, the three main causes of disease. However, have you ever tried using activated charcoal to cure it? Activated charcoal is a by-product of burning cork, wood, or coconut shells and is very porous and is found in the form of powder. The use of activated charcoal is not recommended for pregnant women, infants, children, people who suffer from bowel obstruction or gastrointestinal problems, or people who have had surgery or ingested corrosive substances. In addition, its excessive use can cause stool dimming, vomiting, constipation, and even diarrhea. Activated charcoal can be found in the form of capsules or tablets, in natural food stores, pharmacies or online. Before buying activated charcoal, it is important to know where the product came from, since it can cause serious health problems.